After many years of promising that ONE DAY... 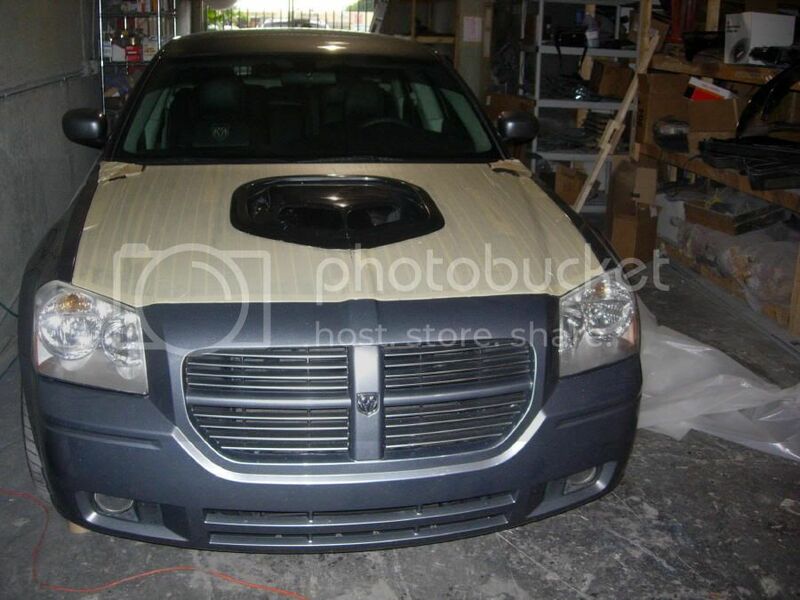 I would come out with a V6 shaker, I'm finally gonna make good on my promise. 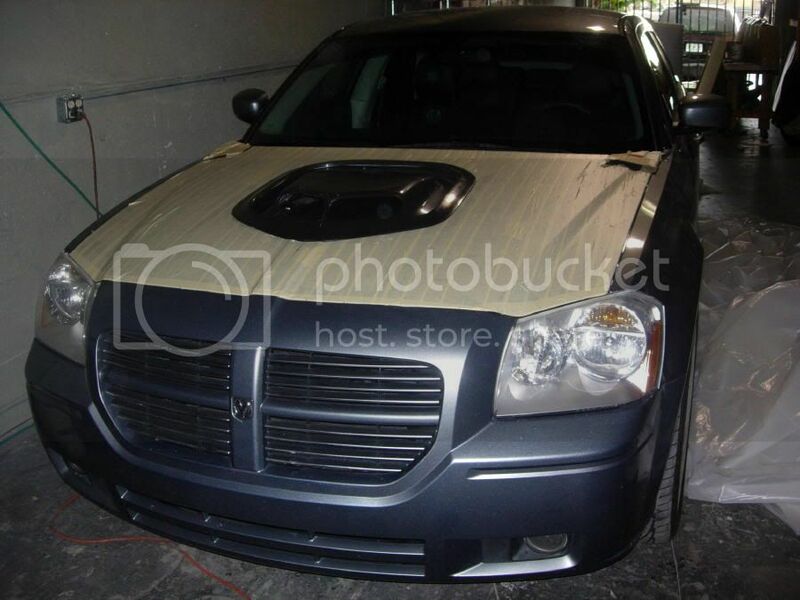 What you see here is a local costomer's SXT 3.5L V6 Magnum. 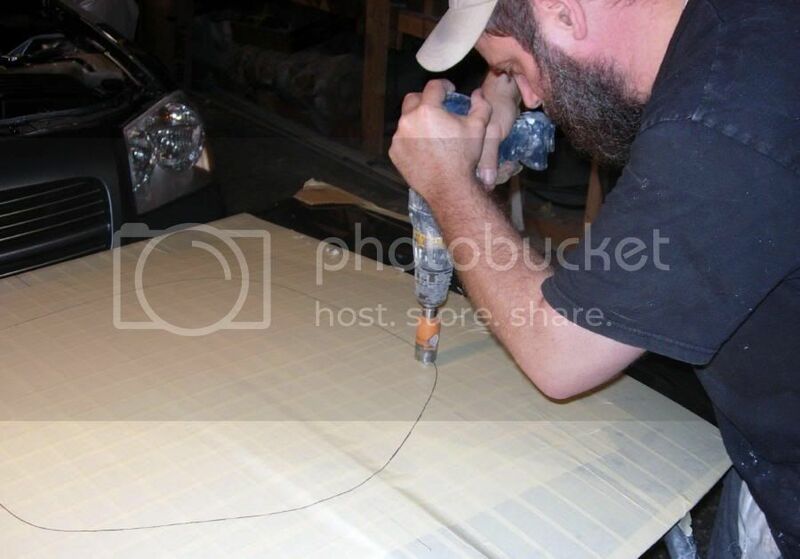 We are custom installing the shaker on his car and in the mean time, we will be making some new shaker base moulds so we can offer this same product to the masses. It will have a FULL sealed system, but it will be internally mounted, so the air box will be completely discarded. Anybody who is interested in this product, please let me know and I'll get your name on the list!! This should be available VERY soon as I have a hard deadline to get this done quickly and he needs his car back. Enjoy the pics!! 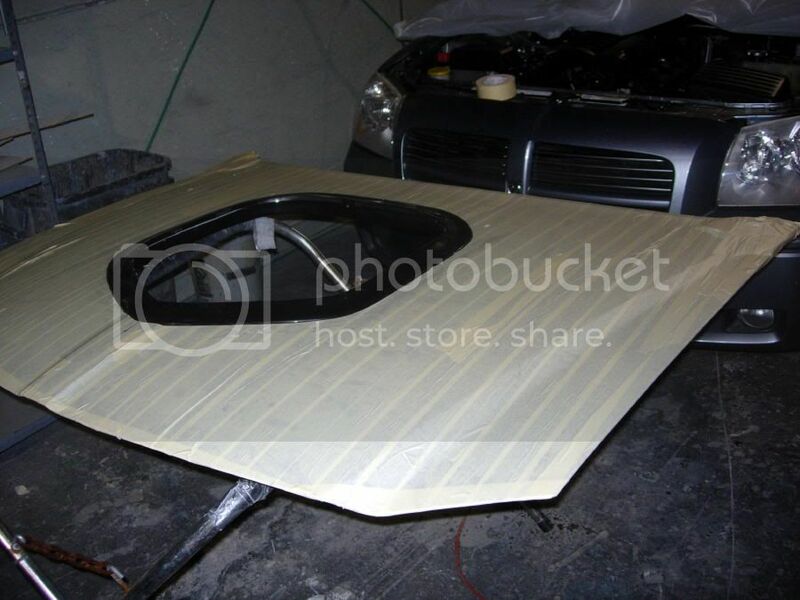 Before I can design the shaker pieces under the hood,I need a shaker hood with a hole in it so I might as well get this out of the way. 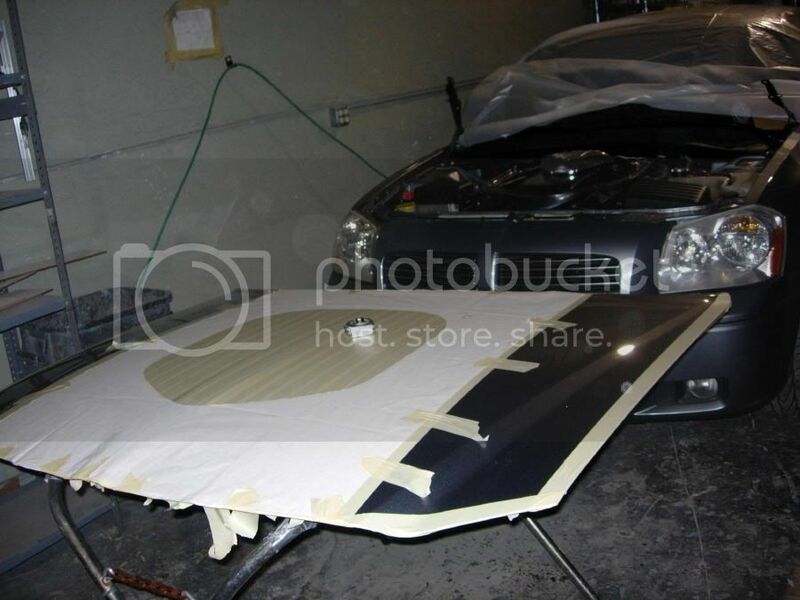 Then I put lots of tape on the hood to protect the paint and centered the pattern on the hood...pretty easy so far. Here goes the first hole! no too hard to do! 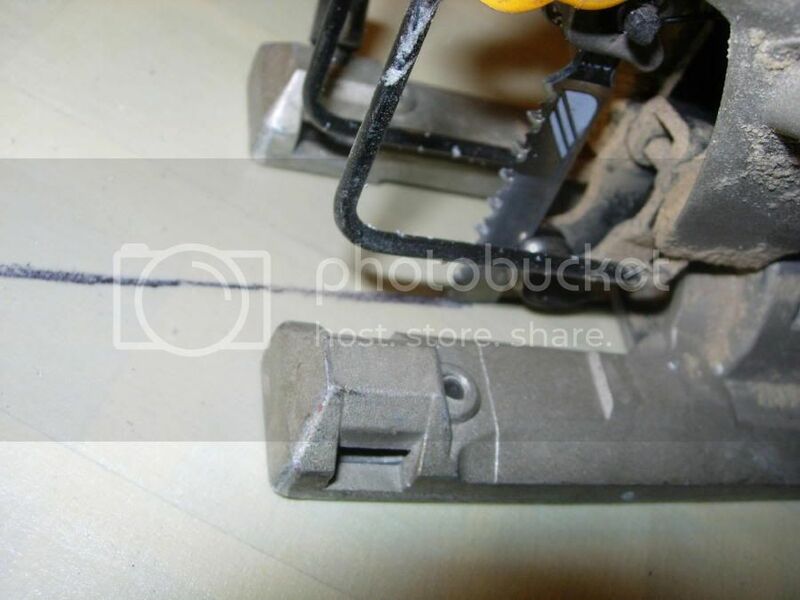 And finally, I just cut out the hole with my cheapy jig saw and a 4 1/2" blade. I'd recommend a longer blade if you can find one, but this one barely was long enough and it worked pretty well. 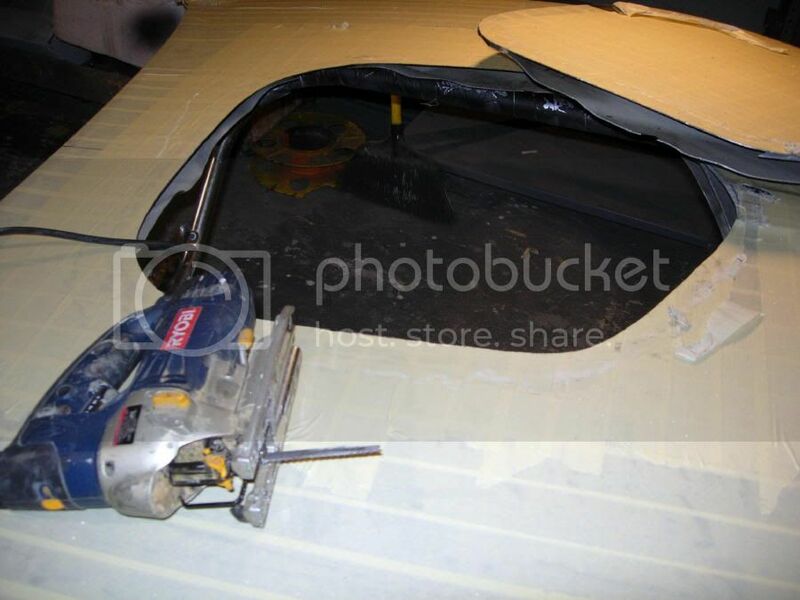 Tilting the blade about 15 degrees like you see here is REAL important, the hole on the bottom of the hood is basically larger than the hole on the top so the hood brace will go on easily. The hood brace is pre grinded and actually went all the way down and just dropped right in with not even any work to clean up the hole. and there was no side to side movement and no question exactly where it goes!!! A few minutes of screwing the 16 self tapping screws in the marked locations and we are just about done! 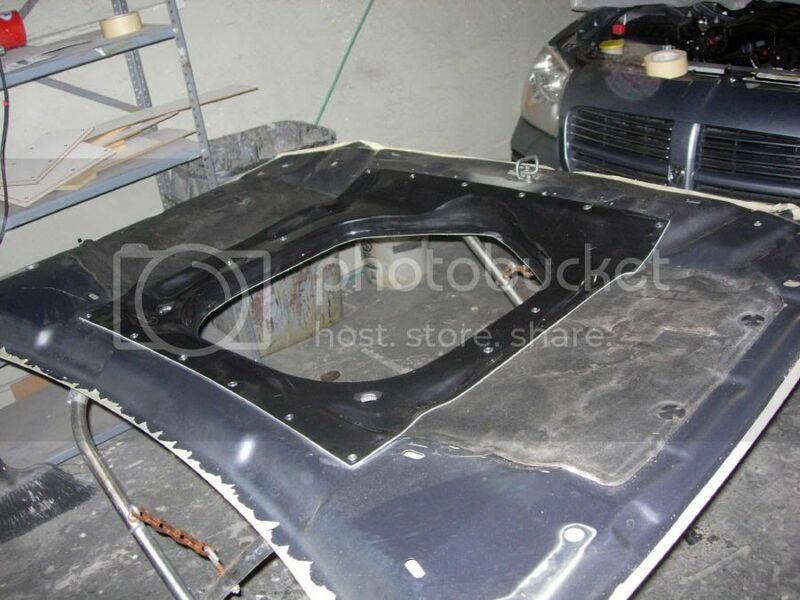 Next I put the insulation back in place and marked it about 1/2" inboard of the hood brace and got my big sissors and chopped out the center. 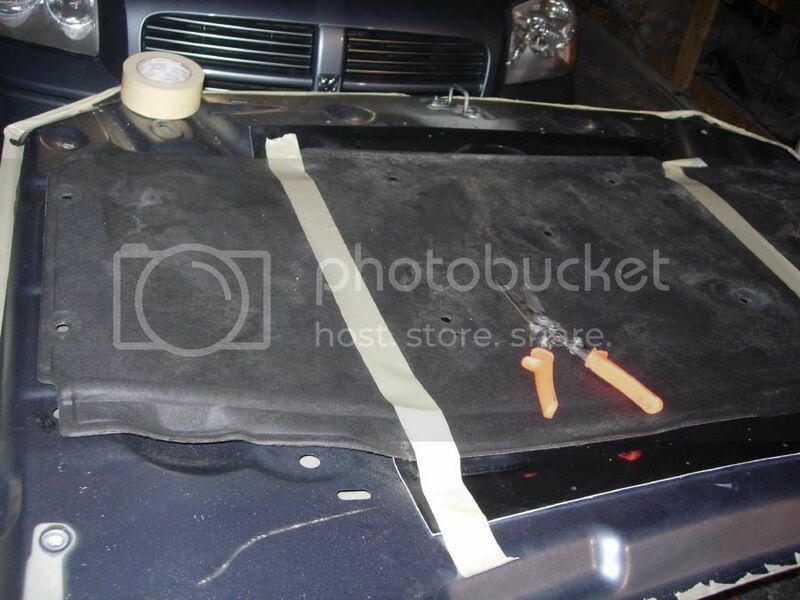 In go the 2 insulation pieces with the factory plastic retainers and we are done on the bottom!! 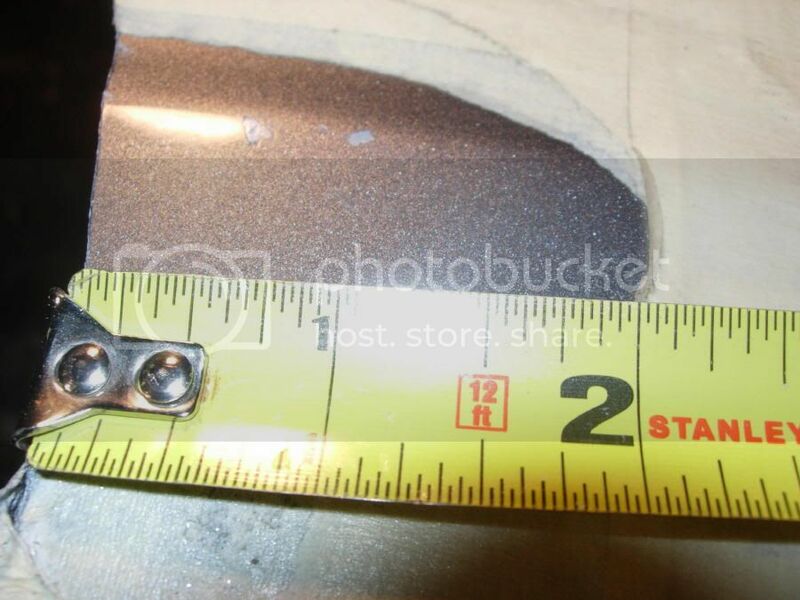 For now, I just temporarily stuck the trim ring on with double sided tape. 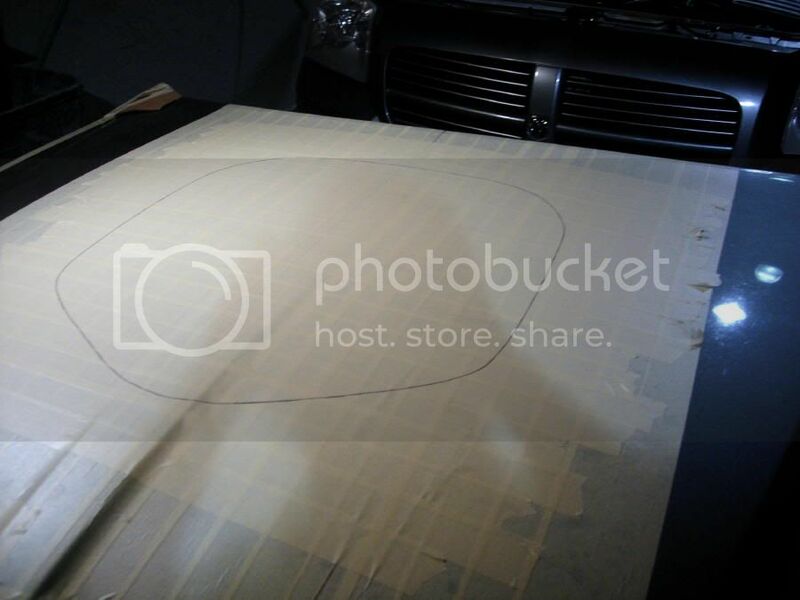 Once it gets painted, I will install it properly with 3M tape and some adhesive underneath. 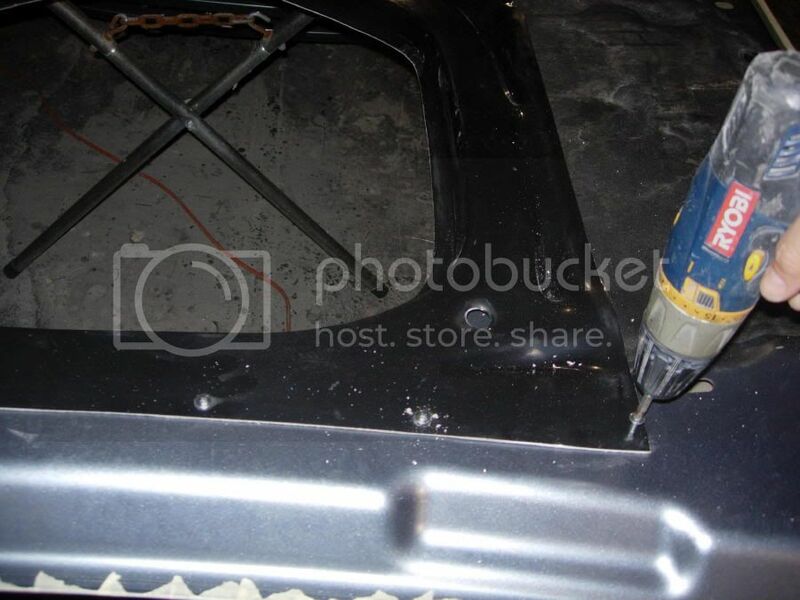 It's a perfect fit as unsual and sits right onto the hood brace flange. 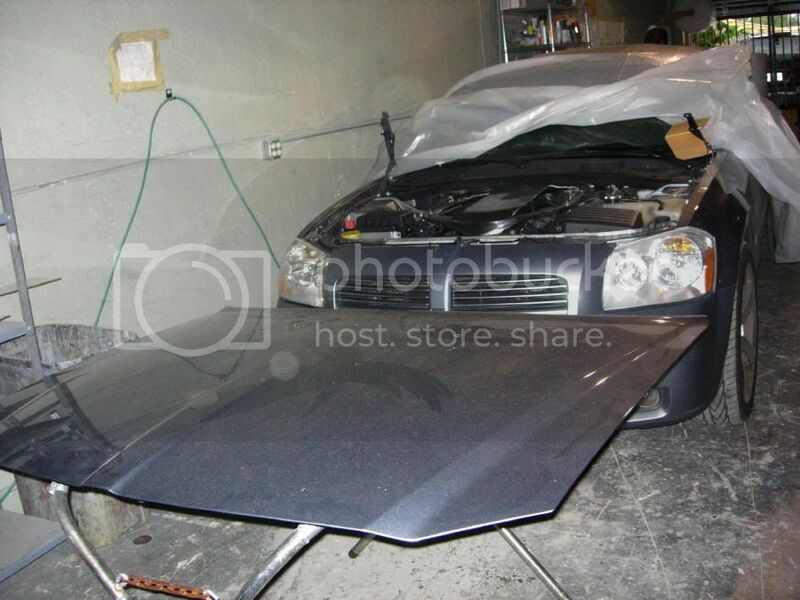 Now to get the hood back on! Notice the Holley High performance air filter peeking through the scoops. 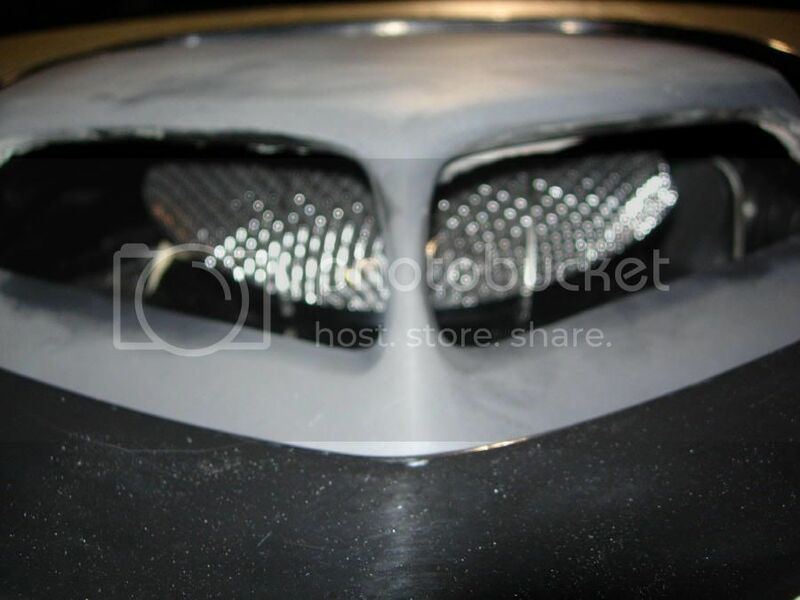 this is what we will use on the inside so the factory airbox will not be needed.